Today, I walked around the neighborhood. I met a really nice neighbor named Idela (not sure on the spelling). She’s an older lady who was walking home from the mailbox as I was about to pass by her house. I’d been admiring her house, well her flowers, all summer. And even though she didn’t have much left blooming, I wanted to ask her permission to come into her yard and take a few photos. She was very happy that I thought her yard was pretty and let me take all the photos I wanted. She even invited me into her back yard. I won’t post all the photos I took today. Actually I won’t post any of the photos I took today. Today, this blog is an experiment. The more I think about my idea about posting a close up of something and having you name it, the more I like it. However, I don’t see it happening all that often. At any rate, I wanted to see if anyone can figure out what the first photo is of. My next blog will start with a photo of the item in full for you to see. So get to guessing lol. Now more about Idela, like I said she was a nice lady. Her husband was out of town for the day and I suspect she was a little lonely. And I was the perfect person for her to talk to. She took me into her back yard, she talked to me about sewing and quilting, then she took me to her quilting room. Whoa. It was a small room in her basement, but it was full of sewing machines and embroiders, and sergers, like I’d only ever seen in catalogs. Her quilting brigade was more high tech than her computer lol. No really, the computer looked like it came straight out of the 90’s. She gave me a quick family history, and we talked about her surgeries. She was apparently in a nursing home til recently because of a back surgery that she had which resulted in her contracting Mercer. She says she’s doing better, but that she’ll be on medicine for the rest of her life to treat the Mercer. Makes me hope I never get sick and need to go into the hospital. Especially here. Thank you Miss Idela for being nice enough to let me into your yard, invite me into your home, and talk to me about your life. I was going to take a photo of her to add to this blog, but I didn’t want to ask…. The rest of my day was pretty good. I had physical therapy today… I was really happy when it was over. They are no longer working on my knee, I have to do that at home on my own from now on, now they are torturing my shoulder. At least they iced me before I left today lol. Even if it was only for 10 minutes, it helped. William is off for a few days, which works out perfect because the fridge broke and he can be here for the repairmen. I wasn’t home much today and I don’t plan to be here tomorrow. I have been playing WWF (Words With Friends). I had been playing on my phone, and when it was added to Facebook by Zynga I started playing on Facebook too. I usually play the same 4 or 5 people every day. Somedays I don’t feel like playing and I play words like weed or doobie. Somedays I actually feel like playing and I play words like stewards and ditsier. However I feel that day, I seldom lose. I think I may have lost 2 games in the last 2 weeks. My players are getting better at the whole spelling thing. It’s getting harder and harder to win. I am not posting this to brag, I am posting this to thank the people that put up with my competitiveness. Thank you for putting up with me guys! You keep my brain active I swear lol. I haven’t been reading much the last couple weeks and WWF keeps my brain cells from going dormant. Okay, I’ve rambled enough for tonight. I need to shower, edit today’s photos, and get ready for bed. I hope everyone is having a good week. 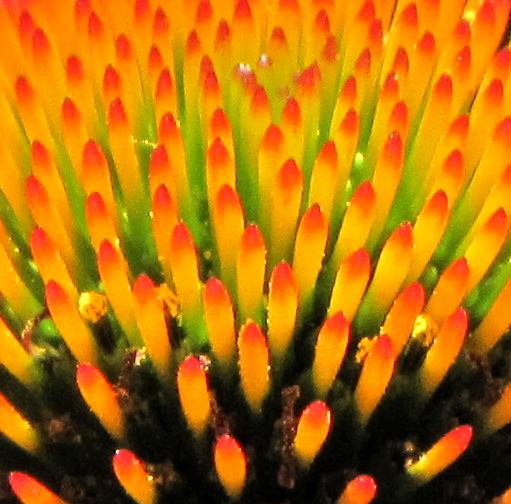 Hm, it kind of looks like the inside of a sunflower or maybe a yellow daisy type flower. That’s my best guess. I’m glad you stopped to chat with that lady. Sometimes its nice to chat with older people, they have more time and they LOVE younger people to talk with. It helps keep them fresh on what’s going on. You get an opportunity to talk with someone who wont judge and can offer a lot of wisdom. She sounds absolutely adorable and I’m sure she would be my best friend if she lived by me. I’d be stopping by with goodies with her as often as I could. I do that now when I make bread or goodies, I take them over to the neighbor lady. She’s not old though, just a single mom a little older than me. She has kids close to my own kids ages. She doesn’t have time to cook so if I have the oven going I make her some too. While I was away last week I heard my daughter Casey did the same. She made pocket pizza’s and took one over to her fresh out of the oven as she was pulling up from a hard day’s work. I think I raised my kids right if they’re being thoughtful toward others. Anyway, sorry about the rambling. Your neighbor is going to be such a blessing to you if you let her into your life. 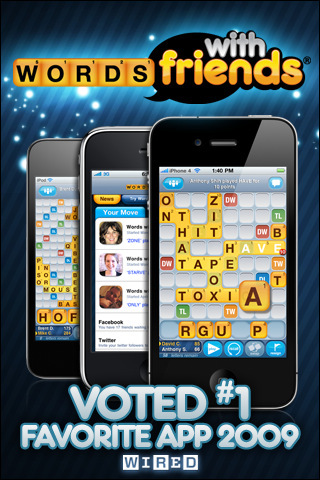 I’m not very good at that word game so I deleted the one off my iphone. I just started playing tiny tower. I kind of like it better than cityville. No begging involved, you just take the people up the elevator all day long. Are you on itunes games? If you are I’ll give you my email addy so you can add me. Jan you’re close. It’s a flower, and it’s like a daisy, not yellow though. I am not sure exactly of the type of flower though, but I thought they were gorgeous. I took that photo my last trip up to the Air Force Academy. Good job! Yeah that lady was nice, I plan to pop by and see her again. I hope she won’t mind. As far as WWF is, I wasn’t as good at it at first that I am now, but now I’m a beast. I’m really good at unscrambling the letters. Not sure how but it’s almost like I can see the words within the letters. Anyway…. I’ll post the photos on the next blog, not sure if it will be today or during the weekend though. Gotta find something to blog about first. Looks like a hairbrush. Is that your copper one??? Maybe one day soon when William is gone (don’t wamt to disturb you two ha) give me a call? After 4:30 my time I’m crawling the walls because Mike’s been working 4:30 at night to early morning. I have your cell stored in my phone so I’ll know to answer. I miss you a lot & I’ve missed Jan too. Nope, not my copper brush. After 4:30 your time, is after 2:30 my time… I can do that, I just have to remember. You know how bad I am about calling. lol I’m going to hold you to that! I expect you to answer lol. I don’t call Jan either, I don’t like to bother people, but I’ll drop her a text in a heartbeat lol, especially if I’m having a hair emergency.